It doesn’t matter how you spell it, chile pepper, chilli pepper or chili pepper, the important thing to discover is whether or not they are healthy for our dogs to eat. 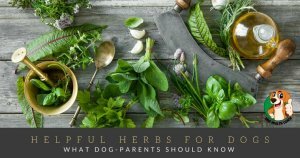 If you have been feeding your dog spicy food, jalapenos, chili powder, black peppers, green peppers and bell peppers, it is vital you have all the facts! 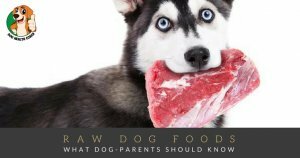 If your dog has eaten a lot of chili or spicy food, then there are several factors that you need to consider before you decide on a course of action. Dogs, in general, are known for their ability to consume almost anything, food item or not, but that doesn’t mean that is good for them or that it will kill them outright. Letting your dog have the occasional taste of your leftovers which could contain a small amount of chili will most likely not be the end of them, but it could be the end of your carpet or flooring! In general, dogs can consume a small amount of chili without it being fatal, but it can cause quite a lot of short-term digestion problems such as; vomiting, indigestion and also diarrhea. If your dog eats some spilled chili sauce off of the floor before you have the opportunity to clean it up, don’t panic straight away. The best course of action is to ensure that your pet has a healthy supply of water nearby, and also ensure they can get outside to go to the toilet as much as needed. If your dog or pet seems to be vomiting or suffering from an extended case of diarrhea, then it could lead to dehydration which can be extremely serious. If the symptoms continue for over several hours, you may want to consider calling a professional veterinarian and seeking their advice. It is important to remember that our pets are just that, pets, they need to have a healthy and balanced, appropriate diet. If you have any questions or would like to add your stories, then please feel free to rate and comment on the article, your story could just save someone else a lot of pain and heartache!